Excerpts from Smart Company’s interview of PassageMaker’s Mike Bellamy about sourcing from China. Thanks to a massive improvement in quality, logistics and infrastructure over the past decade, it has become easier and easier for small businesses in Australia to expand beyond national borders and infiltrate huge consumer markets in purchasing powerhouses like China. 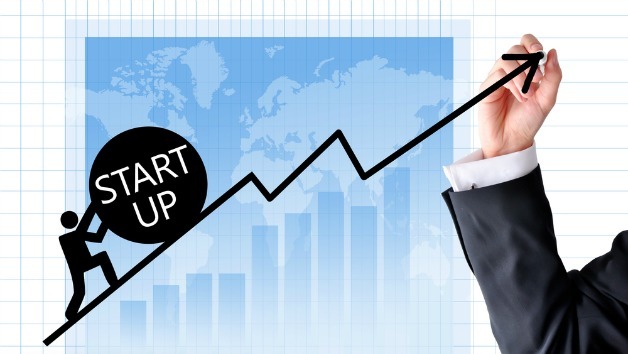 However, it still can be a daunting task for small business owners to know where to start when it comes to getting their enterprises up and running outside of Australia. How do you choose the right suppliers? What countries offer the best quality and fabrics that you are looking for? How do you successfully communicate across language barriers? Having worked with Australian customers for 15 years – at one stage they made up around 85% of my business – I’ve had the opportunity to observe first-hand the most common challenges small businesses have encountered when embarking on global expansion. Over the years I have developed a three-tiered approach, which I refer to as the ‘Holy Trinity’, for building a productive, mutually beneficial relationship with international suppliers to help take homegrown businesses to the world. I cannot express enough how important it is to build a strong, cohesive relationship with your international factories and suppliers; putting the human effort in is worth every cent. Mutual respect goes a long way and it’s vital for you to be regarded as a person, not just a purchase order number. I’ve found during my 20 years working as a Westerner in China that even the smallest things go a long way to developing ongoing, honest working relationships. It’s not necessarily all about learning to speak another language fluently or understanding all the cultural nuances; it’s about finding ways to connect and build a bond based on trust. Simple gestures like sending Christmas cards, encouraging your kids to be pen pals or visiting your factories in person are all great strategies for building on both your personal and professional relationship. Small businesses can sometimes find the development and implementation of contracts overwhelming, especially when they face the challenge of communicating in a language (both figuratively and literally) that both parties can understand. Even if legal documents need to be bilingual, it is absolutely imperative to apply the common sense that you would use if you were doing the same type of business with an Australian company or supplier. 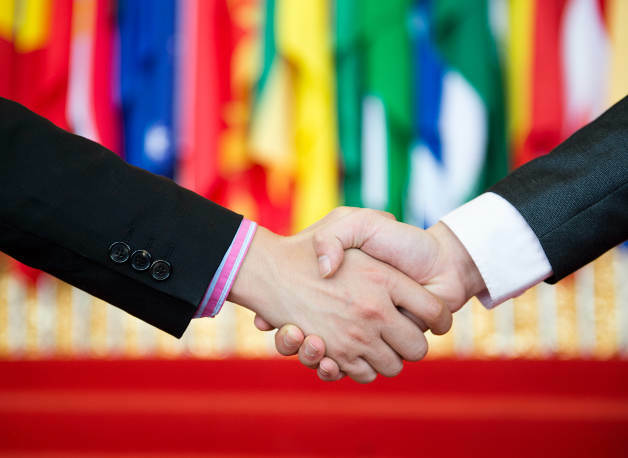 Integrate simple and easy to understand clauses in all contractual agreements and if you’re working with China, ensure you register your intellectual property there before you even begin the sourcing process. Since the rise of the middle class and increase in China’s consumer market, there is a now a well-defined patent system in place that is cheaper and more streamlined than the domestic process. In fact, the most recent statistics from the World Intellectual Property organization show that 7% of international patents were filed in China. When doing business at home, there is no way that you would commit your time and money to a supplier who hasn’t been validated and verified as operating within lawful industry parameters. In saying this, it is essential that when expanding your enterprise internationally you perform your due diligence and do your research just as you would at home. This can sometimes take weeks, or even months, but it can mean the difference between your business sinking or succeeding. The majority of companies and individuals who provide sourcing services or run a factory out of Asia are almost totally unregulated in terms of truth in advertising, codes of conduct and service standards. 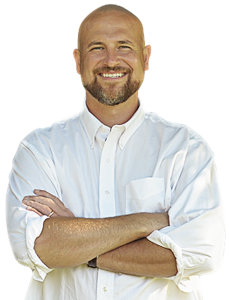 Mike Bellamy is the founder of the PassageMaker Group and is an instructor at China Sourcing Academy. He will be presenting in-depth seminars at the upcoming International Sourcing Expo Australia in Melbourne. Watch PassageMaker’s live interview with China Daily about the opportunities and challenges facing startups in China. China Daily has the widest print circulation of any English-language newspaper in China (over 200,000 copies per issue, of which a third are abroad). 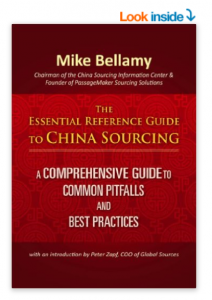 Mike Bellamy is the founder of the PassageMaker Group and is an instructor at China Sourcing Academy. An importer of notebook computers and tablets writes in to get some advice on quality systems and warranty issues when buying from China. 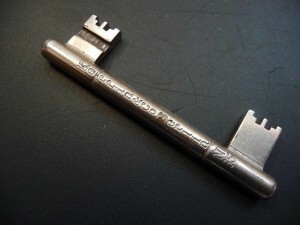 I am currently importing from China and I am very interested in all that you have been teaching over at www.ChinaSourcingAcademy.com , now I would like to ask if PassageMaker provides certain premium services when it comes to linking warranty issues and quality issues altogether. Assuming I use your service to import good to my country which is Malaysia, how will you deal with warranty issues? Let’s say for example if I were to buy 1000 tablets right now via your company and after having them shipped here, I realize that 2.5% of the goods are defective, how do I go about fixing this issue? Do you have any service which actually guarantees the quality of the goods or some sort of assurance that your clients get what they pay for? I am actually thinking of buying tablets and other gadgets from China but the warranty issue does worry me a little as I have heard that factories don’t really accept the items back and even if they agreed to fix it, sending it back to them and spending all that money just for shipping the goods back would eat up most of my profits. I would like to know if you do have a solution to this and if so, I would love to use your services. Thank you, Mike. Yes, PassageMaker can help. We are a China sourcing agency that helps our clients find and manage vendors with particular attention to quality issues and warranty issues as you mention. To be specific, outsourcing supply chain management is a service which includes a professional review of your agreements with suppliers to make sure you have clear QC standards and that the contracts protect you in terms of what happens if warranty issue arise due to non-confirming goods. This service, for example, is designed to ensure non-confirming goods don’t get shipped. Between those 2 services, you would be very safe. Fees are explained at the PDF download found here. Do QC BEFORE the goods are loaded. Good luck sending defects back to China. Below is a typical discussions that happens when prospective clients contact PassageMaker for help clarifying the VAT rebates in hopes of negotiating a better price from their suppliers. It starts with a simple question like “what is the VAT rebate rate in China on the products I am purchasing” but quickly moves to “how can I use this knowledge to negotiate a better price in China”. We are always happy to help, and share the email below for your reference. While you probably aren’t in the shoe business, you may be thinking about similar issues. Hope you enjoy the blog post below and feel free to contact us if you would like more information. Mike, Can you advise what the VAT rebate % is for footwear. If it is different for different types of footwear, please detail. I would be happy to have my staff look up footwear VAT rebate. I believe there may be different rates for different types of footwear. Do you happen to know the HS codes of the products you would like me to look up? That would help a lot. If not, send me a picture and description and I will have my team look up the HS code and then dig up the VAT rate for that code. Good news. They are all the same VAT rebate. 15%. If I could impose on you again to clarify something. Is the 15% rebate based on the invoice price, in which case you get back 15/17ths of what you paid ( almost the whole amount ) or is it based on 15% of the VAT that you pay within your invoice price, which is a much lesser amount. Those are the broad strokes. 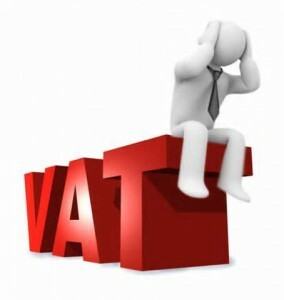 Yes, it is very wise to understand how VAT plays a role in your supply chain. As mentioned in a previous email, you may be able to save time and frustration if you engage PassageMaker to get some competitive quotes and do a VAT survey to see if you are being respected by your current partners. This can be done without making it public who is asking. https://www.psschina.com/wp-content/uploads/2016/12/vat2-284x300.jpeg 300 284 Mike Bellamy http://www.psschina.com/wp-content/uploads/2016/11/logo-PassageMaker-China.png Mike Bellamy2015-10-12 07:12:232017-07-10 13:01:07What is VAT rebate in China and how to negotiate a better price? Q: What impact has the economic slowdown had on US buyer/ China manufacturing relations? Before the global financial crisis (GFC), simply being an American was enough to get the sellers excited about doing business with you. The US economy was strong and Chinese factories wanted to work with you to get orders flowing to the USA. It’s very different now for the typical small to medium US buyer. You have to “sell the seller”. What I mean is that you need to make a case for why you will be a good customer. Can’t just contact 5 factories online and say “give me your best price and quality”. 4 out of 5 may not even respond, unless you order is really big. I’m not saying you should inflate your potential order or trick the suppliers into thinking you are a bigger buyer than you really are…I’m just saying you need to show a vision for your business and find the right supplier that shares your vision. It’s not just the lame global economy, it’s also the rising costs of doing business in China that are causing headaches when Sourcing from China. As margins get tighter, some suppliers may be tempted to cut corners with quality or ignore intellectual property. For example, you may have heard the term “quality fade”. This is where you have a few orders that meet your specs, then all of the sudden the next order has a bunch of defects. The buyer is thinking, OK, first 2 orders went well, 3rd should be ok too, right. Nope, because of the price pressure, the supplier may try to find hidden ways to make more margin. This means having a plan for independent QC is essential. But it’s not like there is a “new China” in another part of the world ready to be the low cost alternative to China. Yes, low end products that have a high labor content (t-shirts and socks) are moving to places like Vietnam and Bangladesh, but when we talk about higher value products like electronics, there is no real alternative to China because China has the reliable infrastructure and proven supplier base. So the secret of successful sourcing, even in this economic slowdown is to find the right supplier (that is a good fit for your needs) and be diligent in watching the quality. That means doing the due diligence to meet with these suppliers in person, check references, run some test orders, get the engineering done to ensure your specs are very clear, setting up a plan to monitor the quality….all these things add to the bottom line, but not doing them could put you out of business. Imagine getting a truck load of defective products! So if you are sitting here saying, I don’t have the time or money to make a trip to China, or I don’t have a few 100 bucks to hire an agent or inspection company to check out my products…then you really shouldn’t be sourcing from China. Q: How is payment between a Chinese manufacturer and a US purchaser usually structured? It depends on purchase volume and relationship between buyer and seller. Q: What action can a Chinese firm take if a US purchaser does not pay on time? Not much. Unless the order is very large and a good contract is in place, it is just not economically viable for the Chinese side to fight a court case in the USA. Because the suppliers don’t have much leverage once the goods have left China, naturally they try to protect themselves and get as much payment in advance of ship date as possible. At PassageMaker we solve this problem by using our assembly/warehouse in China as a quality and payment gate in a way that benefits both the seller and the buyer. Because the seller gets paid before the goods leave China (after the independent QC check by PassageMaker) they are happy. Buyer is happy because they have the quality confirmed by us BEFORE payment is transferred to seller. So both sides are being safe. Let’s say you don’t have an independent quality gate in place. Here is an example of a dirty trick suppliers pull and during my almost 20 years living in China, I’ve seen quite a few tricks the suppliers try to pull. 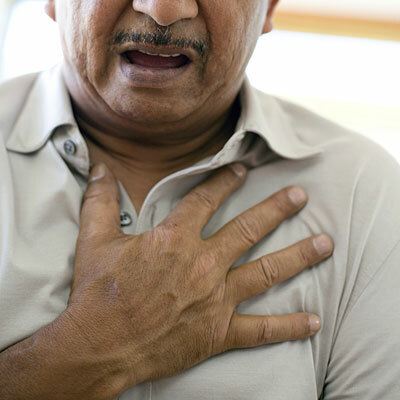 When seller ships out the order, their “makes an error” and under-ship the number of units and/or they makes sure a certain percentage are defects. Since the buyer didn’t clarify what happens in the event of defects or under-shipment, the seller is now in the driver’s seat. Mr. Li will say “sorry for the defects, it was a mistake, won’t happen again, we’ll give you replacement products on the next order”. That’s how the seller gets locked in! It’s easy to avoid this kind of drama. Have a well written, bi-lingual contract, under official chop. A custom contract can be done up by an English speaking Chinese lawyer for just a few 100 USD. So in my opinion, a buyer is just plain crazy to skip this important step. Apply a level of independent QC at the factory or consider having the product inspected 100% at an assembly/inspection facility.